How is this related to Conversion Rate Optimization (CRO)? If you alter the last word to ‘testing’ you get a similarly universal truth in digital marketing: Always Be Testing. We’ll get back to this foundational principle in digital advertising, but let’s start at the beginning. Simply put, conversion rate optimization (CRO) is the process of increasing the percentage of conversions from a website or a mobile app. 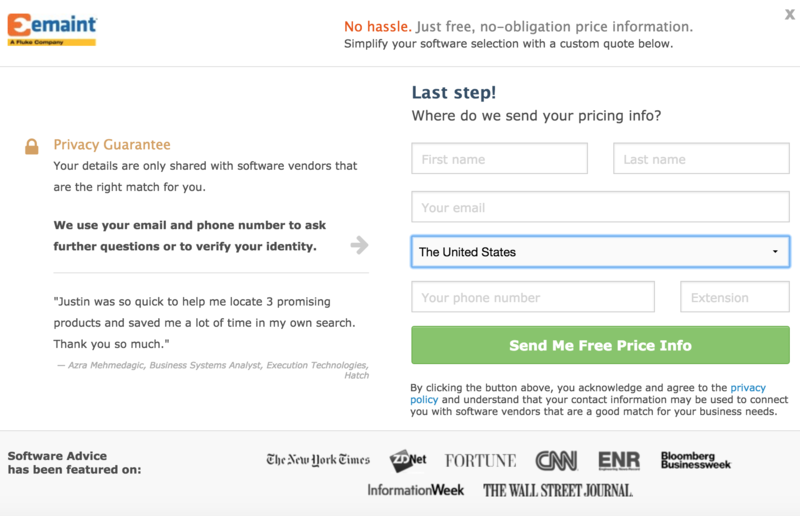 Conversions are a purchase, a newsletter signup, a download, or a phone call. Basically, if you’re a business and you’re trying to get someone to do something on your website that leads to revenue for you, you want to track that action and make sure you’re increasing the rate of this action happening when users get to your site. And if you’re thinking about hiring a conversion optimization agency, read on. There are micro and macro conversions. 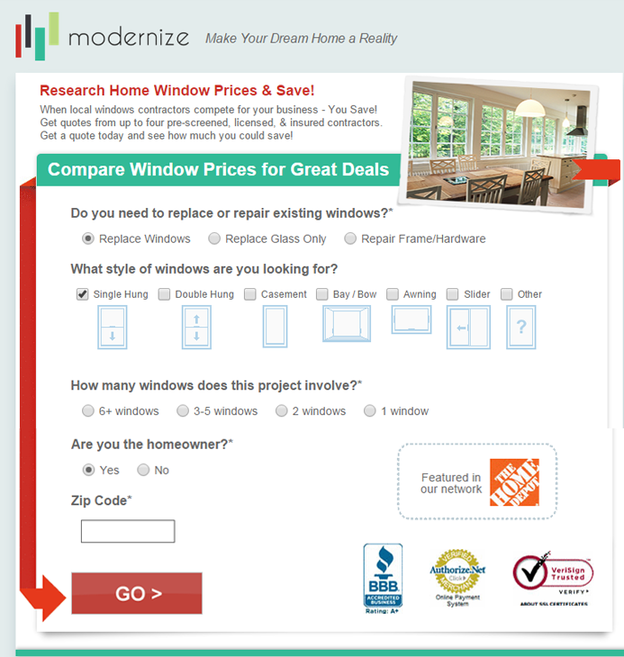 Micro conversions are activities that users engage in before purchasing. In B2B, this can be a download of a whitepaper or a viewing of demo video. Micro conversions are lead magnets; they warm up the user and lead users down the sales funnel. Other micro conversions include, but are not limited to: e-books, podcasts, webinars, consultations, blog subscriptions, presentations, etc. Ecommerce websites also have sales funnels filled with micro conversions that can be optimized. Then there are the macro conversions. These are the big targets, the purchases, the conversions that lead directly to revenue earned. They’re the moneymakers. How are you not excited to chase after conversion rate optimization after that? Conversion rate optimization leads to lowered CPAs when ad spend is involved in getting a user to your site. They say that a penny saved is a penny earned, and if that is true, then it is more than worthwhile endeavor on this chase. The first step in conversion rate optimization is to change your mindset. Many blog articles advocate competitive analysis and improving metrics, like bounce rate or time on site. So, while it is easy to get caught up in maximizing a metric, always think big picture about how it is that you’re helping the user navigate your sales funnel to the end. In research, you continually run experiments to validate your hypotheses that strengthen or weaken your theory. Experiments that challenge how you used to view your theory can be the most valuable, because it forces you to figure out why. Similarly, with conversion rate optimization, experimentation can disprove many of the best practices as described by digital marketing experts. Do not be frustrated and just move on to other methods to improve a metric. Thinking deeply about why experiments panned out a certain way in relation to the big picture can help you think of new approaches unique to your business. Finally, we’ll get back to Alex Baldwin scolding us underachievers to: “Always Be Testing!” We’ll go over a few practical approaches to actually A/B test all the different aspects we discuss. 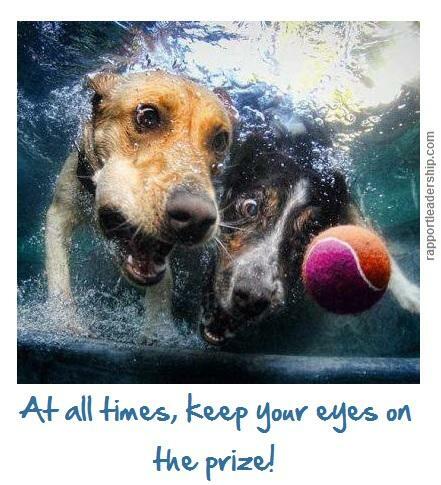 One of the tried and true best practices of conversion rate optimization is to keep your eye on the prize. But what does that look like in digital marketing? No outbound navigation links is what keeping your eye on the prize looks like in landing page best practices. As you can see from this image from one of Optimizely’s case studies, you simply don’t want the user to escape the conversion. 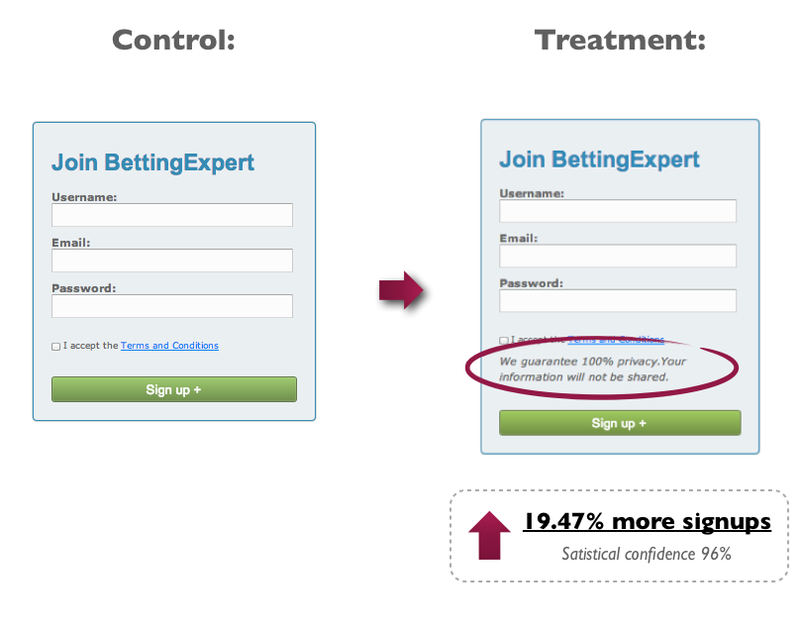 The user converts or they don’t; if you set up your landing pages like this, the data will be clear. You may get pushback from your superiors who don’t like the diminished options for the users, but you simply can not track all of the other ways a user can interact with a page with other links like navigation, and tracking is key to validating any experiment. Removing navigation cleans up your data by eliminating other variables, and makes tracking easier, because you’re focusing on tracking the only important thing: Did your user convert? Use simple and straightforward headlines. There are some fancy studies out there that claim that only 2 out of 10 users will read beyond the headline. I am not sure how scientific that statistic is, but I do know that headlines are super crucial to making it easy and clear what users need to do and why. This is your first chance (and possibly last) to reduce friction from the user in converting. Don’t let this opportunity pass you up! As you can see above in a beautiful example from a Marketing Land article on conversion rate optimization, a smart headline can captivate the user. They didn’t follow rule #1, but that is a helluva headline, CTA, and button combination. I don’t even care what my visitors want or what Google Analytics is tellin’ me, but I want to know why!! Again, the headline is salient and clear with a unique selling point catered to the audience. What teacher would not want to help students? And for free? Whoever helped develop this page definitely watched the Godfather, because as a teacher, how can you refuse to move forward here? This last point segues perfectly into another mainstay in conversion rate optimization: CTAs or Call-to-Actions. Going back to the Khan Academy landing page example, we can see they quickly pivot to a clear and prominent CTA that takes up the entire right side of the page. They aren’t messing around, as it is very clear for the teacher to sign up using one of the three different available methods. Three! All you have to do is click on one, and you’re on your way. 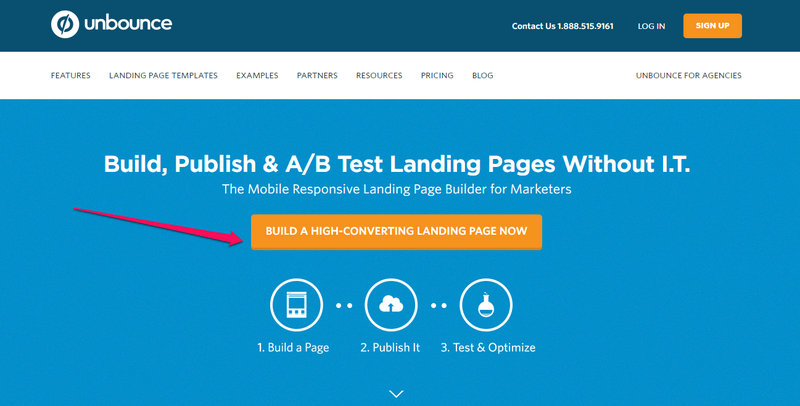 Here is another example from conversion guru, Neil Patel. There’s a lot going on here in terms of words, which can be a bad thing, but the CTA gets points for originality and saliency: Get 100,000 visitors a month. This CTA is repeated three times including on the button. There’s even a counter to show how many visitors he has/had for November, presumably a recent month. This goes back to thinking about your user’s problem and not getting too bogged down by how things are normally done. 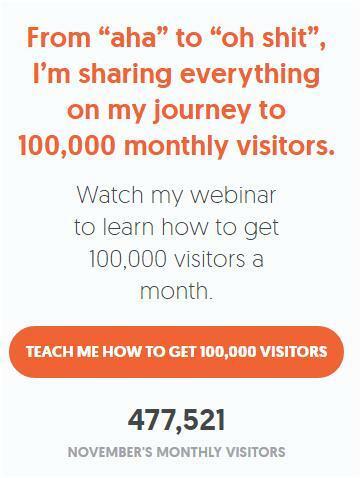 100,000 visitors is just another way of saying ‘increase web traffic’, but in a much more enticing way. Don’t be scared to think outside the box. Let’s take a look at a bad example before we get back to good ones. To say nothing of the small button and generic button copy, what is the call to action here? 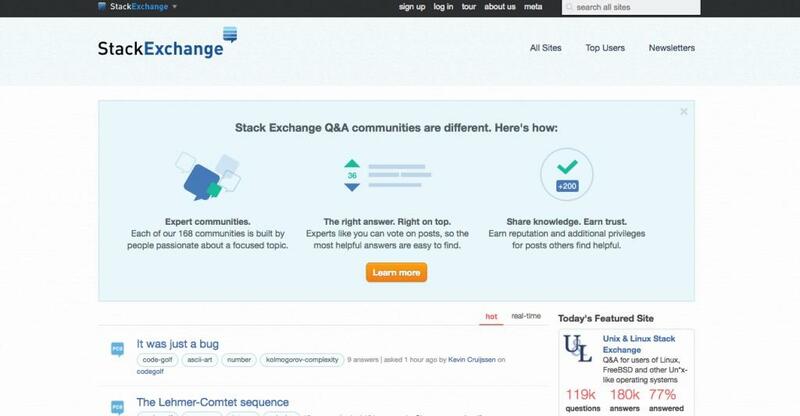 The Stack Exchange community is different, and I should learn more? Now let’s get back to a good example. Now we’re talking again. Capture the audience with a simple and non-confusing headline? Check. Is it easy/free? Check. Where’s my CTA? Oh, it is right there on the button! Start coding now. Sweet, that’s exactly why I came here. Related to CTA’s are the actual buttons. There are so many ways you can adjust the button. Find what works best, and continually test! Compress your images – images can carry up to 63% of a webpage’s weight. Resource requests – 20% of pages have 100+ resource requests. Use browser cache so resources are only called upon once, and consolidate resources to limit the number of round trips. 50% of mobile pages use custom fonts which use lots of resources and can be turned off for mobile. 20% of pages have 5+ redirects. Redirects are not a good thing for site loading speed. AMP landing pages – Accelerated Mobile Pages can load in less than a second, and are all the rage when talking about fast loading times for webpages. We could spend a whole article on this subject, but needless to say, AMP could be a secret game changer for an Ecommerce site that has many users converting on mobile. Continual site speed loading audits – There’s no better way to not slip up in this department than to make it a part of the continual optimization process. You can test your website speed with free tools like this one from Google. Testimonials and reviews – There’s nothing like actual clients praising your product or service with their own words. Bonus points if you have an image of the person doing the praising. Check out a few examples. Here’s an example of the bare bones company logo route, however, just listing out your clients is literally the bare minimum you can do. Again, each test is different, and you’ll want to validate your own data for yourself, but something relatively easy to implement that most businesses are doing is a no brainer. Let’s look at a corollary to the boost of privacy statements: trust badges. 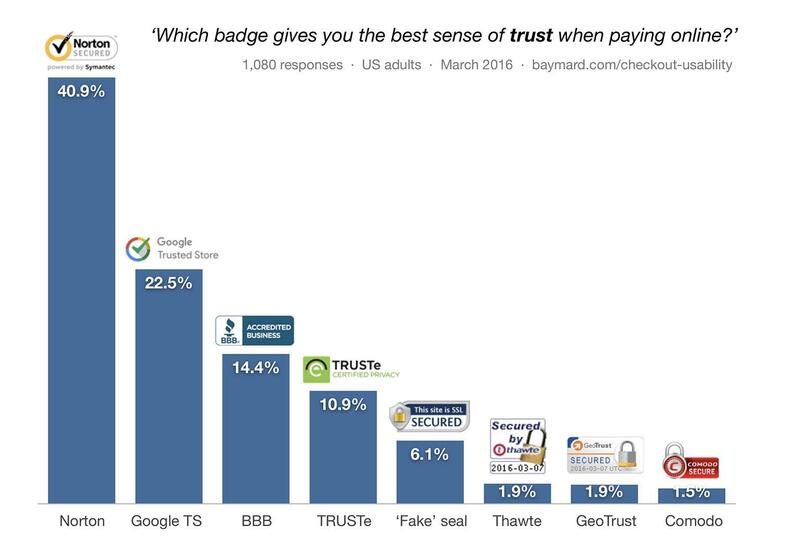 This is more applicable to Ecommerce websites where payment is immediate, but any kind of credible trust badges that you can attach to your website can clearly be worth the small amount of trouble it takes to put an image on your website. With the option to see more testimonials if needed using scroll arrows, the user can focus on the one testimonial and what each quote has to say. Above-the-fold – Just keep the important aspects above the fold. If there is anything you’ve learned thus far in optimizing for conversions, it is that humans’ attention spans do not last very long. Many websites (including the Khan Academy example we saw earlier) have the CTA button plain and clear as soon as you hit the page, knowing that very few users even scroll down. Form fills are valuable conversions that represent warmed leads. A conversion from a form indicates a willingness of the user to be contacted again by your company. That is huge. They say half the battle is initiating the conversation, and in this case, the other side has done the initiating for you! How easy is that? It can be easier if you follow some simple guiding principles and commit yourself to consistently testing out optimal tactics to incrementally improve the user’s conversion rate. Do you really need their phone number? Each business is different, but getting something is better than nothing, and users will often balk at giving their phone number, yet fork over their email more easily. Is it possible to engage in relationship to warm up the user over email? 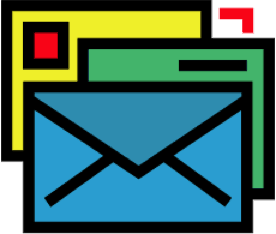 Perhaps you can use the email to hit a few more touchpoints with your user, providing them valuable and free information, so that when you finally reach out for their phone number, they’re ready to listen. Make the conversion as easy as possible for them, and balance the necessity of the number and the likelihood and value of an email. Testing that elucidates the revenue behind an email or a phone number is the goal, but that can get pretty involved, and is a discussion for another day. Radio buttons are another way to minimize effort and make decisions easier – a winning combination for conversion rate optimization. You can also breakdown the form fill into steps. This has multiple benefits as we can see below. Each broken down step can be easier than completing everything at once. In addition, once you get to the ‘Last Step!’ you are somewhat committed, and the close proximity of getting the offer often meets a threshold within the user to complete the process. When you’re at a mall that’s why they try to put the product in your hand! They got you right where they want you! Back to landing pages… here are some great ones from a B2B lead generation firm for software systems called Software Advice. I love the very relevant image on the right. They could have easily settled for a software analytics stock image with a smiling businessperson. 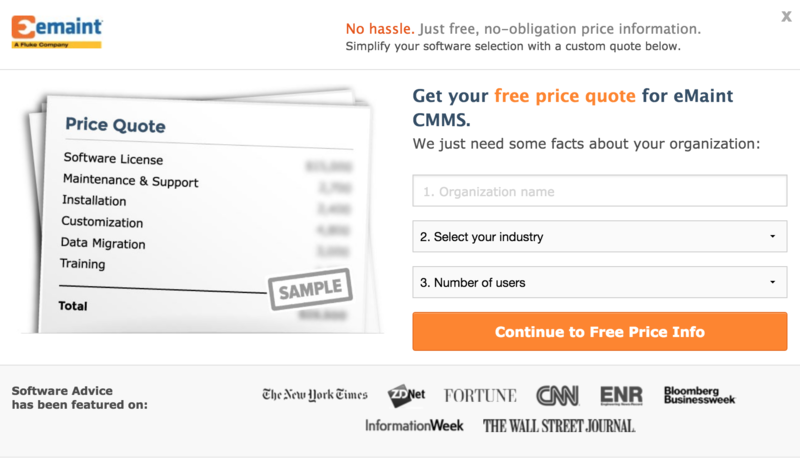 The headline emphasizes ‘free price quote’ with a bright color that matches the button that also uses a unique CTA. And those testimonial logos! Here’s their second and last step. First off, check out that privacy statement & testimonial combination on the left. I definitely haven’t seen that one before. Name, email, and number (with extension – they’re no fools, imagine the hassle navigating the phone system of a big company!) ‘Where do we send your pricing info?” Uh, right here, let me write it out for you now that you ask. Ecommerce conversion rate optimization is a lot of what we’ve seen previously, but with many more opportunities for optimization because of the numerous steps that must be taken to checkout in addition to the normal awareness, consideration, and shopping stages, albeit usually a shorter sales cycle. We could spend multiple blog articles on optimizing your ecommerce site and process, but here are a few guiding principles to get you going. 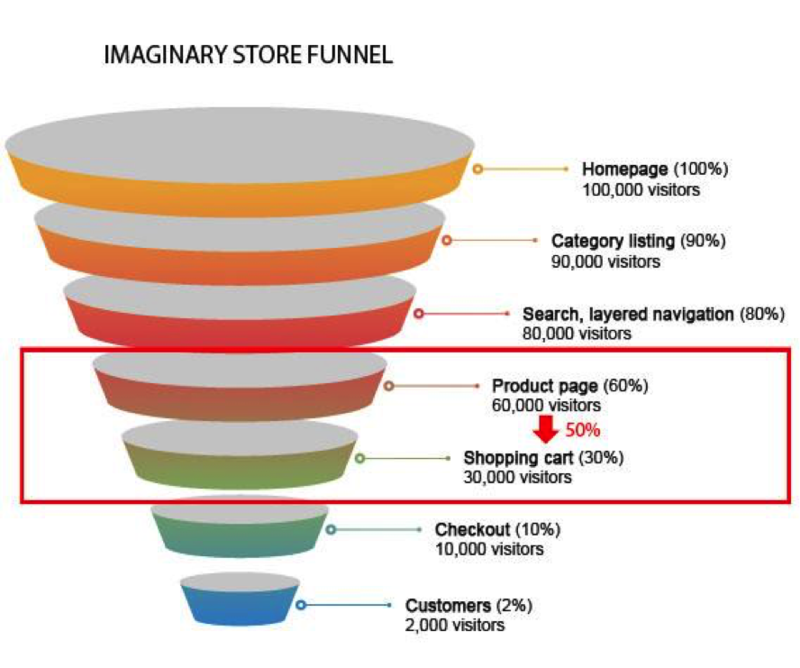 As stated, Ecommerce has an elongated website funnel even if the overall sales funnel is usually shorter. To help move the customer along, click-through landing pages can help summarize a website’s offerings and nudge them down the funnel. The landing page best practices covered above still apply, there’s just many more opportunities to reduce friction and make the process as easy as possible for the user. Google Analytics offers various tools to gain insight into your Ecommerce funnel and where you can be experiencing friction, or bottlenecks that are slowing the flow of users down the purchasing funnel. One tool is Checkout Behavior Analysis – you can guess with your instincts for so long. Nothing beats cold, hard data on where work needs to be done. Take advantage of these free tools! 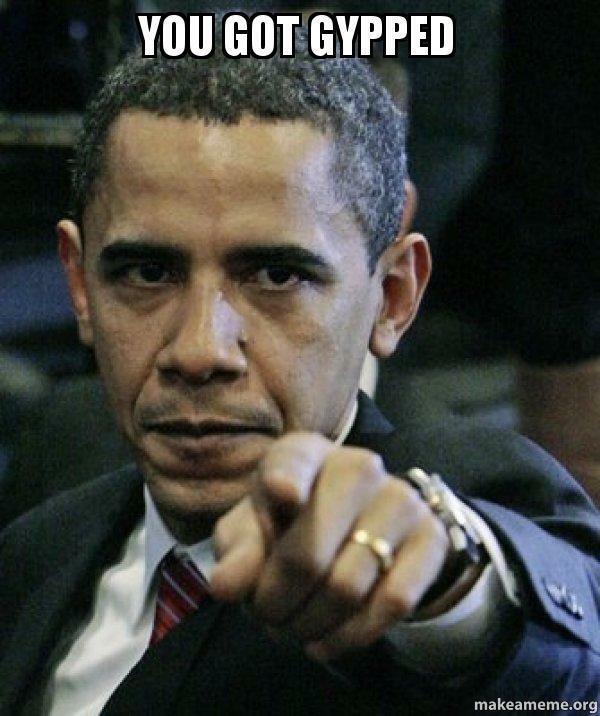 Videos, reviews, video reviews, detailed images, and testimonials are all more important than ever. When you’re at a mall, you have the chance to interact with salespeople to help you with your questions. Online, you just have what’s available to you online. The more detailed and high quality these assets are, the less friction a user will have in purchasing your product. It is worth mentioning speed audits again, because there are simply many more pages to load, and opportunities to lose an impatient user. AMP landing pages for ecommerce are becoming a must. Don’t get left in the dust by your competition’s speed! A corollary of #4 is 404 error pages. Now, you’ve not only slowed down the impatient user, but you’ve completely stalemated them with an online wall! Adios, conversion. But wait, all is not lost. Just like Tiger Woods scrambling to make par after a wayward drive, you too, can turn lemons into lemonade with beautiful 404 redirects that lightly bring the user back into the fold. An online web assistant is becoming more popular, and provides an easier way for both sides to interact for more basic questions without the formalities of email or phone. Here is a good review of the top brands for live chat, if you have the human capital to man an online chat. Easy guest checkout options are a must. How many of us have scoffed at forming a new account when we can just checkout quickly by guest without having our information saved? Concise wording and ease of use applies to the guest checkout option, just like forms and buttons. Never underestimate the power of laziness in humans. 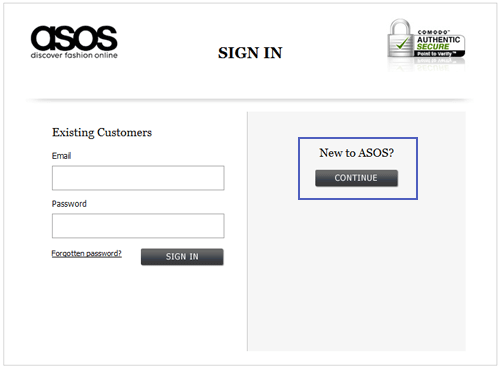 This final version of this minimalist guest checkout prompt increased conversion rates around 50%. That is a lot! Pricing can be king. Test coupon codes, free shipping options, and ‘limited’ time offers. It can be as simple as that sometimes. Create a content hub or research hub page to make a potential customer’s research as easy as possible. Like click-through landing pages, how you present your products, in an intuitive and easy to understand design, can make the user’s shopping experience as pleasant as possible. You also get bonus SEO points (aka. internal linking juice). That’s called a win-win! Don’t surprise users with extra costs at the end. No one likes to be tricked. Plus, you’re so close. 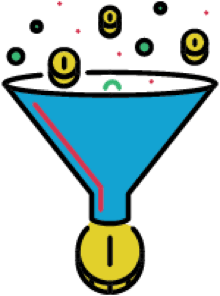 Now that you know many of the bottlenecks for conversion rate optimization, you need to continually and consistently A/B or split-test each and every aspect. OK, how about just doing what you can do with your time and resources? Regardless, you want to continue finding winning combinations that beat your current winning combination. That is PPC at its finest – the constant grind of incremental improvement. Want another way to look at it? The data is just telling you what your users prefer. Just listen to them and make the appropriate changes, and you’ll get more money. If you’re doing this on your own website and you happen to use WordPress, there are plugins to help you test landing pages. Are you worried about statistically significant results? Generally, you don’t have to be as exact as PHD candidates, but even there, the internet has your A/B testing back! As you can see, your options are endless. But don’t get bogged down with each and every detail. In the end, you’re just trying to make it easy on your website visitors. Have fun with it and show Alec Baldwin that you’re ready to Always Be Testing! !